This Tip will show you the advantages of using HDRi skies to create better renderings. This weeks Tip of the Week will show you the advantages of using HDRi skies to create better renderings. 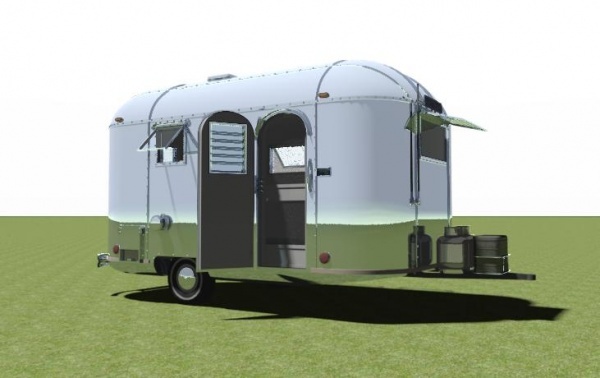 Image of an Airstream rendered with an HDRi sky. The HDRi image provides a background as well as the correct illumination, shadows and full 360-degree reflections. One of the benefits of HDRi skies is the fact that the background image is in the shape of a dome, providing a full 360 degree background. This means that no matter what angle you are viewing your model from, there will always be a high quality background image. 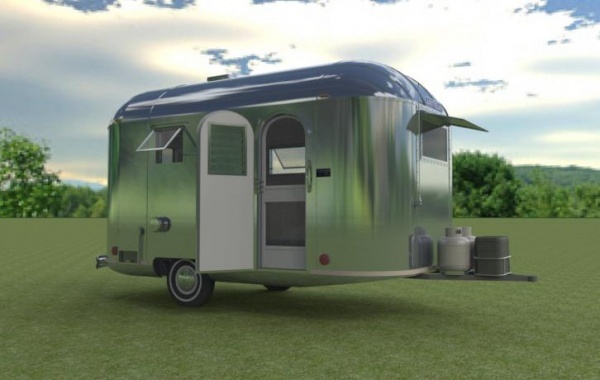 This also makes them valuable for scenes which contain reflection - reflective surfaces like this Camper, or windows. This second image was rendered using the default SketchUp Sun. Compare this to the image above which uses HDRi skies. There are a number of notable improvements in the HDRi image including softer shadows, softer lighting and reflections that match the background image.All of these improvements help to add to the realism of the model. 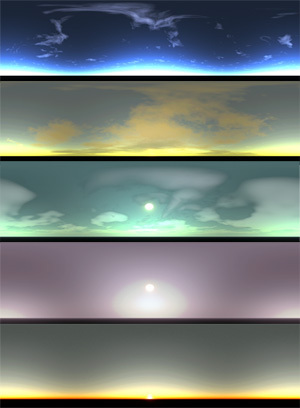 Same model with reflection from an normal, "Automatic", sky. A 360-degree image is created - either with a special 360-degree camera - or by stitching together 3 of 4 images from a single camera after rotating it. Then three images are create - underexposing one image and overexposing another. When combining the 3 images, the RGB of the the middle image is used, but the other two images an be used to determine the intensity of illumination because brighter places will overexpose faster than places which are not providing illumination. Using the Setup Options of IRender nXt, you are able to position the background image just where you want it. This is helpful if either you don’t like the part of the image you can see and would rather see another part - a better looking part - of the image because it would fit better with your model. Also, if you would like, you can change the position of the sun in the sky by rotating the image. You can also set the intensity of the HDRi illumination. Set the rotation or intensity and re-render the scene.